Technology plays a huge role in the modern practice of law. 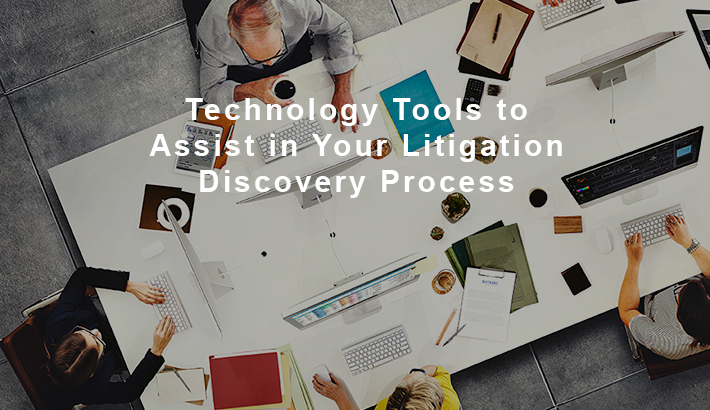 Modern technology tools assist with becoming more effective and efficient in the discovery process of litigation. They also assist in firm management and trial presentation. How are you using technology to assist in your discovery process? Let’s discuss some of the tools that can be extremely valuable during discovery. eDiscovery software is a tool that most lawyers should have and use. eDiscovery is a process where electronic data such as emails, is sought out, collected and searched with a core purpose to use it in a civil or criminal case. A lot of evidence is in form of emails, social media posts, PowerPoint, text messages, voice mails, video and audio files, documents, and databases. Managing the data can become extremely difficult. eDiscovery software assists attorneys in managing all of this data. Although eDiscovery software may be expensive, it will typically more than pay for itself in the time saved. A lot of businesses and law firms have had major problems because they did not backup their data. Many cases have failed due to lack of presentation of evidence. This was not due to the evidence not existing, but it had been lost in the middle of the court proceedings due to virus attacks, user error, or computer misbehavior. To prevent this it is important to have data backup that will allow you to restore your data anytime that it has been lost. This does not only prevent loss of evidence but may also prevent loss of important documents, schedule and even your clients. Adobe Acrobat Pro helps you to organize, review, analyze and present all your case files easily and in a fast way. Technically, Adobe Acrobat Pro will allow you to process text through Optical Character Recognition (OCR). 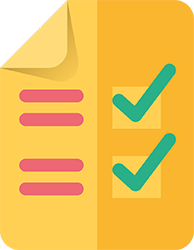 OCR assists in manipulation of the order and insertion of the table of contents and inserting page numbers and redacting confidential information. Other specialized litigation software programs offer similar capabilities but are only limited to the litigation process and are more often expensive. Adobe Acrobat Pro is relatively inexpensive and flexible and can be used throughout the entire litigation process. Attorneys will often receive files from clients in digitalized PDF form. Opposing counsel may ask for documents in PDF format for discovery. Deposition and trial transcripts are often delivered by court reporters in electronic PDF format. 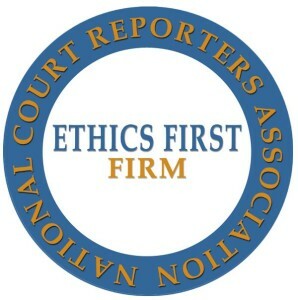 Some of the more technologically advanced court reporters and court reporting firms will provide E-Transcript PDF bundles that include the transcript, linked exhibits and may include a hyperlinked word index. Adobe Acrobat Pro allows you to apply security features, edit PDFs, add and collect comments, search, analyze the files, create files and forms, and much more. It is important to be able to quickly produce documents for your own team during discovery, upon request by the opposing party, or by the judge during litigation. Document management software has a degree of data automation which gives some level of document control. You will have to file all documents with this software that you intend to use. Once uploaded, the document retrieval will be easier than a self-created system of folders and file on your computer or server. This is an great tool for litigators especially when calculating damages, computing dates, and organizing data. It isn’t just for adding and organizing numbers. There is much more that can be done with Excel. Case management software is a more comprehensive solution that includes many features related to law firm management. It is also known as practice management software. It allows you centralize all client and case information. It assists you in compiling information of a case into one single case file package. The case and practice management software has the following features: document management, email archives, time, billing and accounting, contact management, and calendar management. Having all of this information connected and centralized in one place usually makes accessing, analyzing, interpreting, and reviewing information and developing a trial presentation a more effective and efficient process than if the information is spread out among multiple software platforms..
Litigations are all about time management and meeting the deadlines. You may have a dozen of timelines for a single litigation case. It becomes more difficult if you have deadlines of more than one litigation cases. Therefore it is helpful to have a trusted time calendar that is able to provide you with overviews and management of meetings as well as notifying you on the upcoming deadlines. Google Calendar is ideal for checking your schedules, reviewing your team schedule, inviting others to a meeting, and scheduling events involving different time zones. Microsoft Outlook Calendar is another similar program that many use. Of course, case/practice management software often has calendar functionality that is more customized to litigation and may have all the features needed. As we all know, the technological options for law firms have significantly increased over the years. This has made litigation processes easier to manage than before when things were being done manually. Technology can only be helpful it is used and if it is used effectively. If you’re not already taking advantage of some of these tools, it might be worth looking into. More often than not, an attorney or law firm will have many of these tools already but will only be using them for a small percentage of what they are capable of. Which of these tools are you using? Do you already have some that could be utilized more? In another related article, we discuss Trial Preparation Technology Tips for Attorneys.